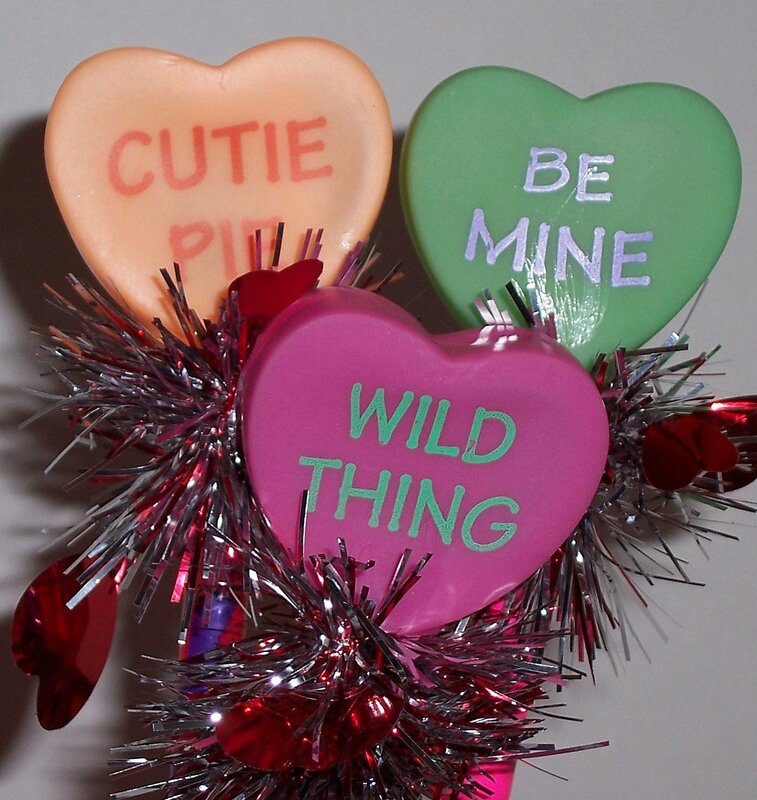 Everyone's favorite Valentine candy makes these pens super sweet! Soft vinyl hearts are mounted on springs, and surrounded by silver and red mylar garland. The pens are wrapped in red, pink and white duct tape. Set of 6 pens.